Yet Another View - by wwenze: Atom netbook? No thanks. Ion netbook at a premium? Even less thanks. Atom netbook? No thanks. Ion netbook at a premium? Even less thanks. I never liked the Atom. Because when idling the CPU consumes little power compared to the rest of the laptop it doesn't make sense to save, and when things get demanding this dinky little CPU can't get anything done and end up wasting more time - and electricity. And, ultra-low-voltage (ULV) CPUs have existed long before the Atom. A heavily underclocked and undervolted "normal" laptop CPU, perhaps twice the power consumption of Atom at idling - translates into minimal system power consumption difference, and delivers over 9000 times satisfactory performance. But, those babies often came at a premium, and are clocked much slower than their "normal" counterpart (maybe around 50%). And to make things worse, during the Core 2 Duo era when dual cores were getting picked up, those ULV notebooks tended to be single-core, hence providing way less than half the performance of cheaper, "more entry-level" notebooks. Unless you want the dual-core version, which you have to pay an even greater premium. Still, for a businessman needing battery life and looking to get any real work done, this is better than the Atom. Asus UL20FT. 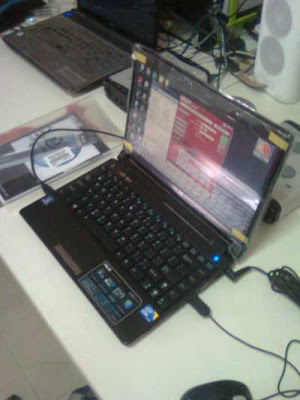 i3-330UM @ 1.2GHz notebook. And from a good brand to boot, not some crap from the other 4-letter-worded brand that also starts with 'A'. For the first time, I was deciding between a ULV and a "normal" based on their price and the performance they provide - the other contender was a Lenovo i5 notebook, at $850. Less performance for less money - this is a first for a ULV CPU. What makes the i3-330UM so interesting, is that it is a dual-core, unlike the SU2000-series that are single-core (and have to pay even more extra for the SU4000 ULV dual-core series). And the other interesting part is due to the current generation of Intel processors - the difference between i3 and i5 is just Intel Turbo Boost, or ITB, and Hyper-Threading, or HT. ITB, in both laptops and desktops, means "I Tun give a Buck". I mean, temporary overclocking until thermal and electrical limits are reached, = no overclocking when you're doing things where performance really counts and the CPU is at full load all da way. And killing battery life in laptops when the reason for ULV is to sacrifice performance for battery life. And in desktops you most likely can overclock further than the safe factory settings anyway, and for all cores. As for HT, it stands for "How The-hell-is-this-useful-when-my-programs-can't-even-use-more-than-two-cores-properly?" Pretty self-explanatory. Enough blabbering, lets look at where it all counts - numbers. Idle screen on. The LED backlight is even more efficient than my current laptop's. For comparison, I previously tested a N450 netbook, and IIRC it was either 4 or 6W, and I forgot whether the screen was on or off. 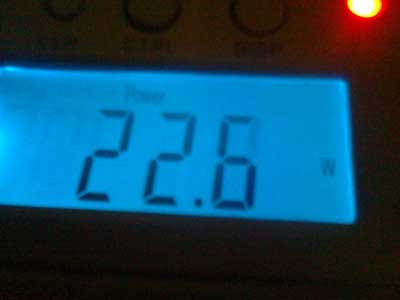 Either way, idle wattage are measured with com doing absolutely nothing; with light work or background activity power consumption is easily a few watts higher, going over 10W for both. The Atom is hit hard because the CPU has to rev up higher to do any work. Full load w/Linpack. I remember the netbook being less than 20W - maybe 14-15W or 17W but definitely less than 20W. But it doesn't matter because the Atom is slow as crap anyway. Now, the Asus laptop actually has a Turbo mode which increases CPU clock by 33% to a decent 1.6GHz. Both cores, I'm guessing permanent, and what's most important is that it can be turned on or off at will - save battery when on-the-go, or more power when plugged-in, it's up to you. Now that's what is useful. Anyway, that's 400MHz for both cores, which is already more than what Intel's turbo does for the lower-end i5's. 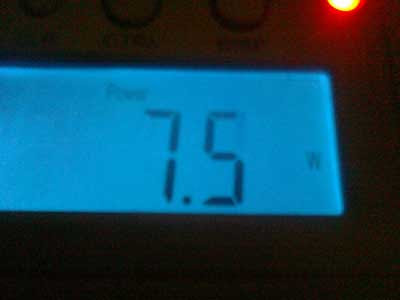 That's a big ouch increase in power consumption - increasing voltage for higher clocks almost always hurts performance-per-watt. This is why I'm against turbo and am for ULV in the first place. 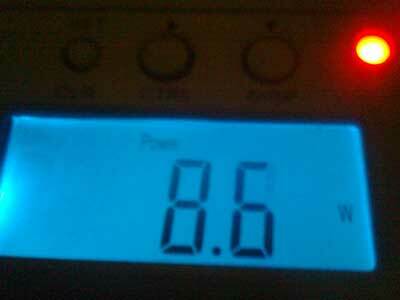 It's a 37% increase in total system power. Quite fair for a 33% increase in CPU speed, but remember the CPU only accounts for a portion of the system's total power consumption. 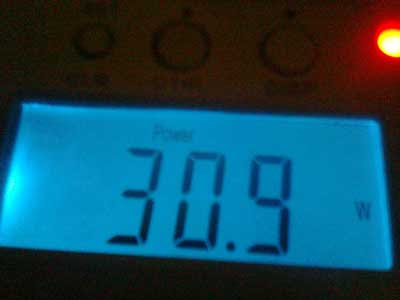 The CPU's power consumption probably increased by 50%, or more. So, you do realize that there are two things to balance when looking for the best performance-per-total-system-watt. I think this configuration achieved it nicely, both in the turbo-ed and non-turbo-ed states. Although an overclock without increasing CPU voltage would be nice, since Intel chips are known to do that easily. But then again, this is a ULV chip, already lower-voltage for the same clock compared to non-ULV counterparts. Remember that my T4200 laptop is already undervolted. And this new guy kills it in both performance AND power consumption. And at a slower clock of 1.6GHz; even at 1.2GHz it is pretty close in speed, at less than 2/3 power consumption (and probably almost half if my T4200 wasn't undervolted). The manufacturer advertised it as having long battery life. I'd expect at least 5 hours, maybe 6. Can you say a better deal? Oh, and the thing about Ion, is that it provides more graphics processing power, but you don't game on netbooks anyway. CUDA acceleration? Software using it almost non-existent. And as for its best selling-point - acceleration of H.264 decoding - the Intel GMA4500MHD on the i3 CPU can do that as well, so what's the point of getting Ion? Oh yes, Intel is stupid not to include the GMA4500MHD on their Atom processors, and opting for the stupid GMA3150 instead.